So is everyone ready for the holidays! 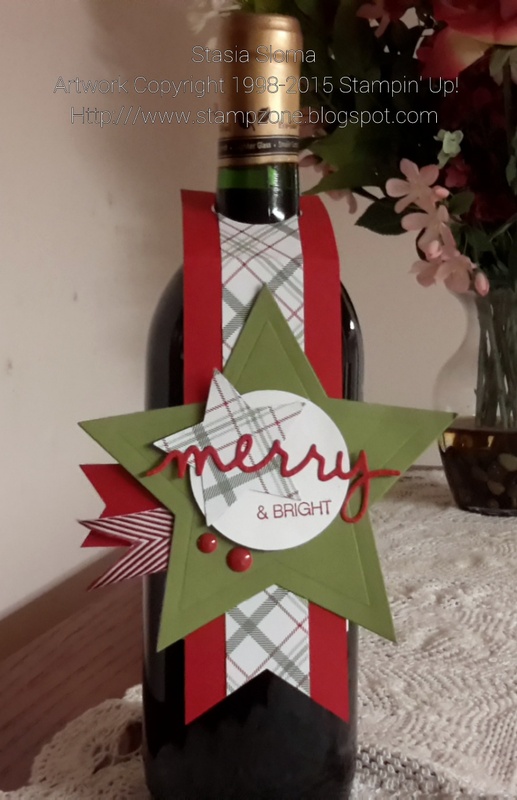 So are you heading to a party and don't have a way to dress up the wine bottle. Here is a quick and easy way to dress it up. Just need some Star Framelits and the Triple Banner punch and you are on your way.